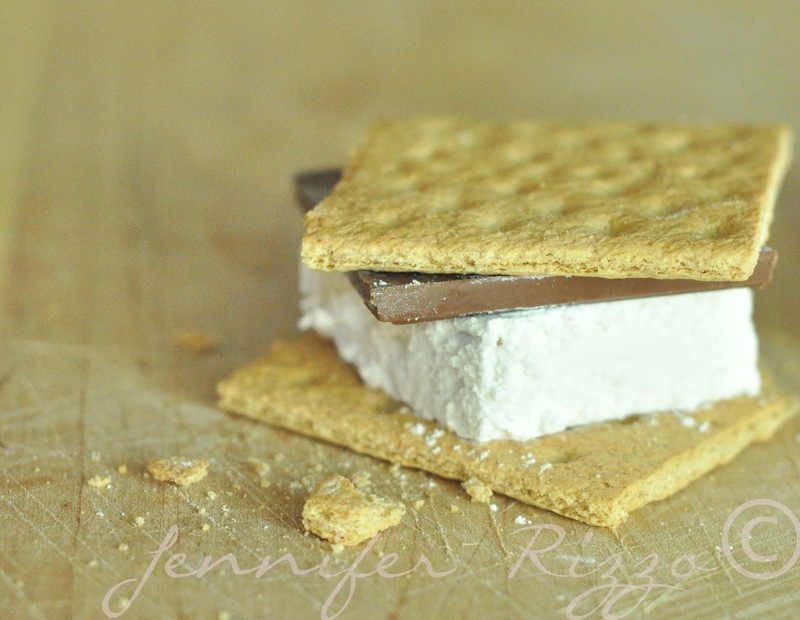 Make amazing corn syrup free marshmallows for the perfect end of summer s’mores…. Our problem is one of the kiddos is allergic to corn and it’s derivatives and it makes shopping for some treats super-challenging. 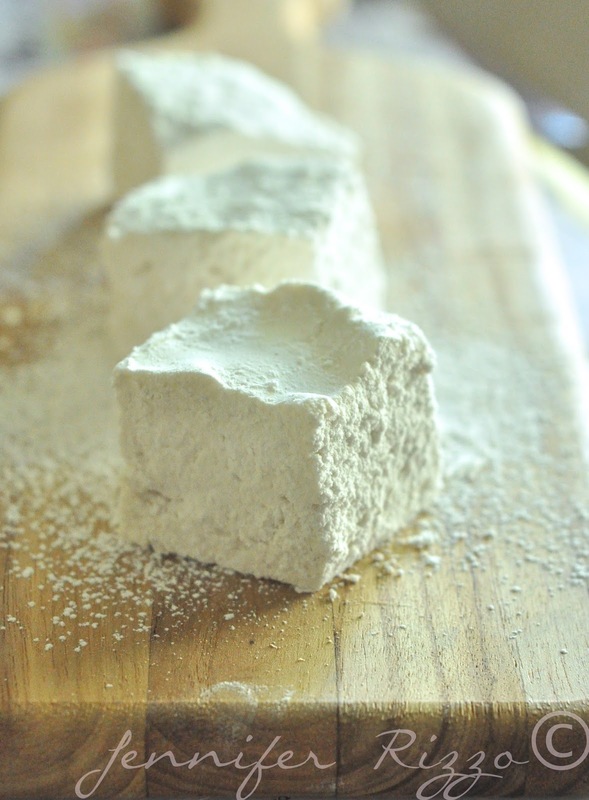 So, I have this recipe for corn syrup free marshmallows that taste amazing! In the past, we’ve found some at the the health food store made from fish gelatin,but there was something about it that always kind of grossed me out!One of our annual traditions on the weekend before school starts is we have a bonfire and make s’mores in our backyard. It’s a nice tradition that I think really helps usher in the new academic year. So in all of my searching, I finally found a recipe for home-made corn-free marshmallows and tweaked it to fit what we like. I thought I would share them here with you! My mouth is watering already. I do want to mention before we start that since we are working with molten hot sugar to take extra precautions when cooking. 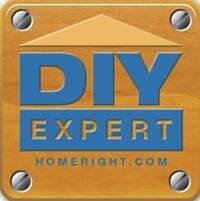 Just take that extra safety step when making them! I did end up tweaking the recipe a bit after the first batch. I used organic/corn-free ingredients, but you could by all means not go that way,do totally regular ingredients and they would still turn out fab. -In a large heavy sauce pan, combine the 2 C. granulated sugar and 1/2 cup water, cook over medium heat stirring constantly with a wooden spoon. -Once the sugar is dissolved, add the gelatin and stir in. -Pour into prepared pan and let sit until cool and firm. Let is cool lightly covered about 10 minutes.Then put it into the fridge. Once they are cool,they will be firm but sticky. 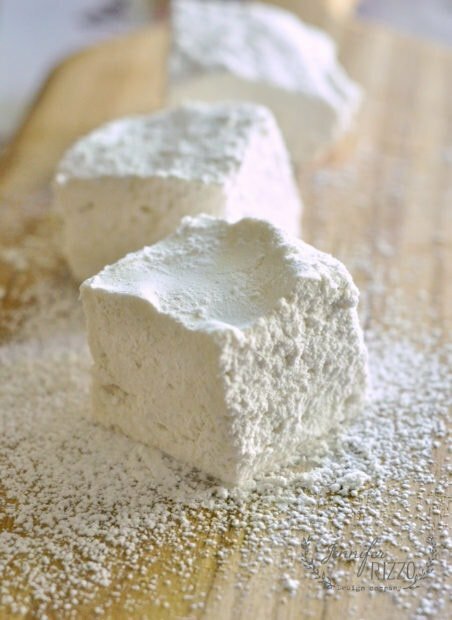 Dust a very sharp knife into powdered sugar or arrowroot powder and cut the marshmallows into large squares or s’more squares. Dust each one on all sides to take away the stickiness, store in fridge. They are super yummy, and were a huge success! 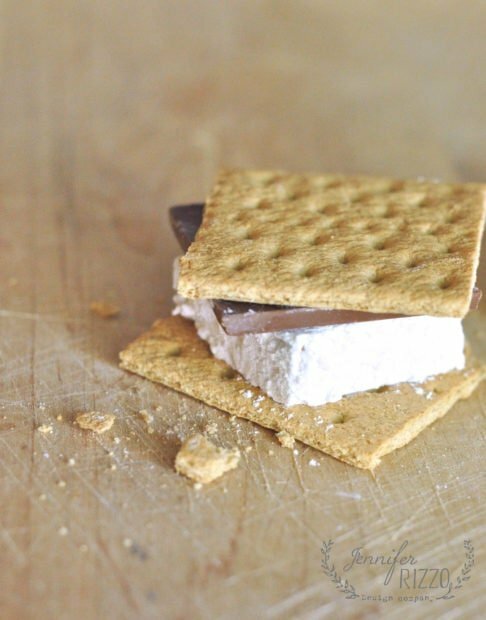 But I will tell you that they melt/burn A LOT faster when making s’mores, so watch them carefully. We lost the first few to a fiery death. 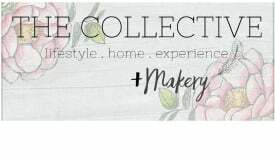 I am just learning myself, but I can’t wait to make more! If you have a sweet tooth, you can also try this iced coffee drink, or this recipe for a teacup dessert. 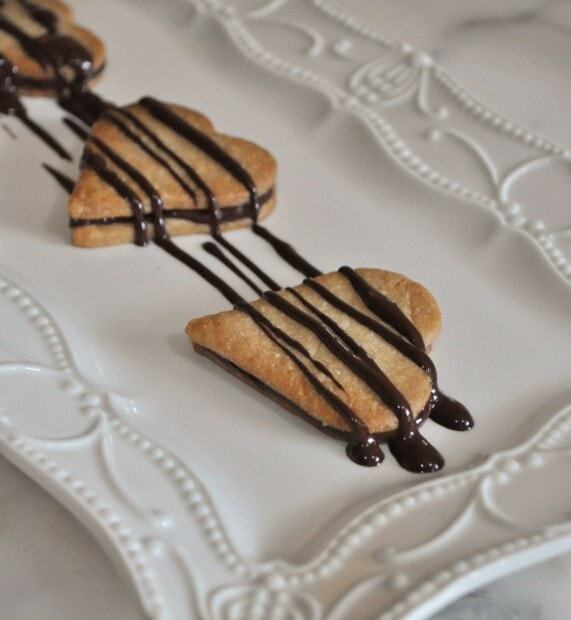 I also love Pie crust cookies. That sounds wonderful, I am going to pin it. Thank you for sharing. 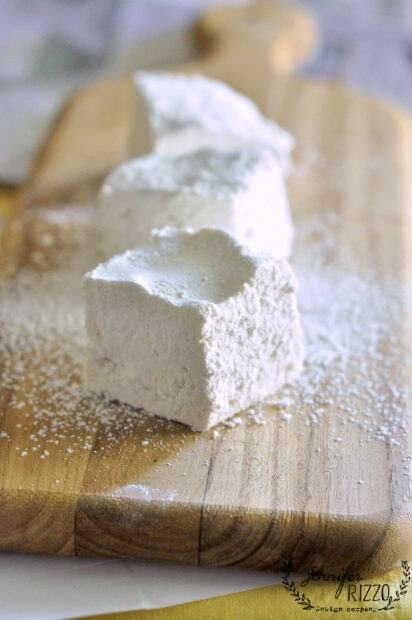 I have never made homemade marshmallows but I think I’ll give these a try. Thanks for the recipe! This is the recipe we use and I must say I LOVE it! We have started adding new flavors and are about to try out a new combination… using some syrups we picked up at Ikea that contain no corn syrup. 🙂 wish us luck! I have. It’s at whole foods, it’s their brand and it has tapioca starch instead. We make our own. Just take regular sugar and blend it into a fine powder. We use a bullet blender, but I’m sure any would work. I found it at my local King Soopers (Kroger chain of stores). But its only been around for a short time!! I tried to do the blender with regular sugar and added cream of tartar, but it was still gritty. You can make your own confectioner’s sugar from white or organic sugar. Put 1 cup sugar in your blender and blend at high speed for about 45 – 60 seconds. Don’t try to make more than that at a time! We use a Vita-Mix and even that works best with no more than 1 cup sugar. Yes, my daughter is allergic to corn. We use Wholefood’s 360 brand confectioner’s sugar. I keep about 4 bags on hand at all times! After making my own, this is much more convenient: ) Trying these marshmallows tonight, thanks! This is awesome, Jen! My youngest is allergic to corn and marshmallows is one thing he has always wanted to try. Thanks for sharing! Did anyone else have trouble cutting them? Getting them out of the pan? Mime were sticky as sticky could be and the shape was not quite right. They tasted great, but seem very difficult to cut and remove…? This recipe sounds wonderful….I can use the marshmallows for fondant as well??? Hi.. found your recipe on Pinterest, (where else)!! Tried it, very easy to do, and i added just a drop of orange flavoring to (for my taste)..
OOH! Adding orange sounds like a wonderful idea!! I’ve added peppermint before – yummy and Christmas-y! I just whipped up a batch of these, and found that they are absolutely delicious!! I toasted coconut (for an Easter pie) and dipped the mallow into it– which Was a nice addition! Thank you for posting this recipe!! !